Acme’s TB Series Industrial Control Transformers are especially designed to accommodate the momentary current inrush caused when electromagnetic components are energized without sacrificing secondary voltage stability beyond practical limits. 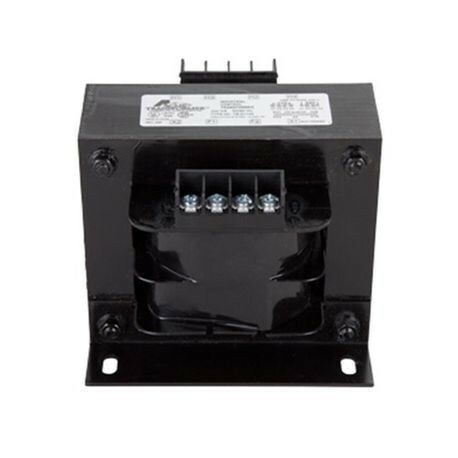 Acme's TB Series transformers are dry-type, step-down transformers with the secondary control circuit isolated from the primary line circuit to assure maximum safety. Voltage regulation of Acme’s TB Series transformers exceeds standards recommended by the National Electrical Manufacturers Association. Secondary circuit voltage drop between no-load and momentary overload remains exceptionally low. This excellent secondary circuit voltage regulation assures reliable operation of electromagnetic components and may permit the use of a smaller and less expensive industrial control transformer.